Volunteers With A Purpose, Inc.is a non-profit 501(c)(3) organization whose mission is to match non-profit organizations with fund-raising opportunities with running races. The Volunteers With A Purpose program was created by Timberline Events LLC of Englewood, CO. 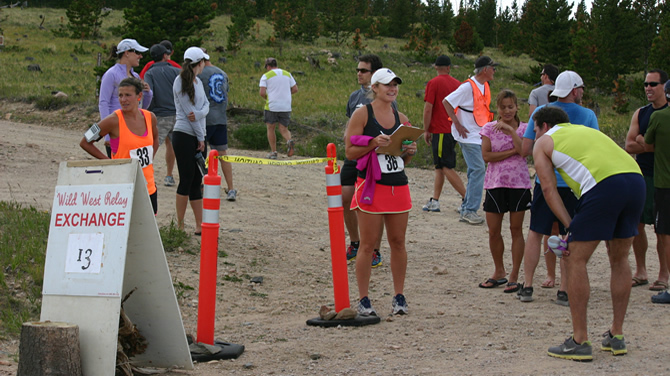 The purpose was to involve local non-profit organizations with Timberline Events' Roads Less Traveled Relay Race series, which has included races in Colorado, Vermont, Iowa, and Oregon. make a tax-deductible donation to Volunteers With A Purpose, Inc. These funds go to local non-profit organizations that volunteer during the relay as a fund-raising opportunity. 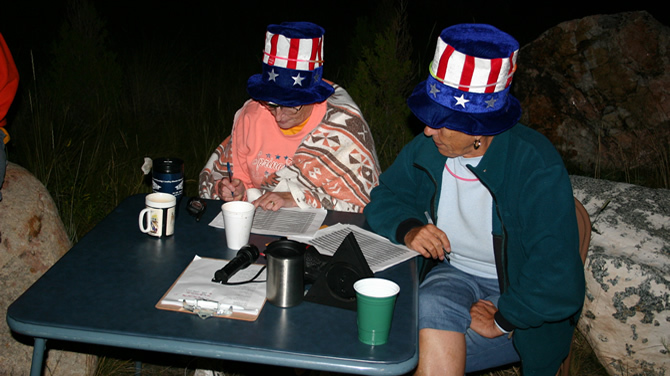 To read an opinion piece to help understand Timberline Events' volunteer model, please click here. 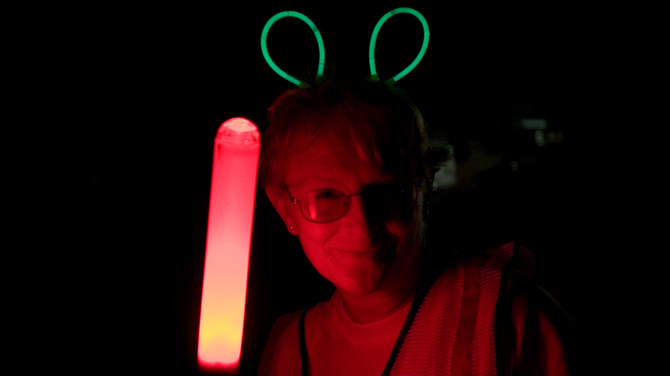 Funds donated to VWAP are then passed on to local non-profit organizations that volunteer to be race marshals during the relay as a fund-raising opportunity. 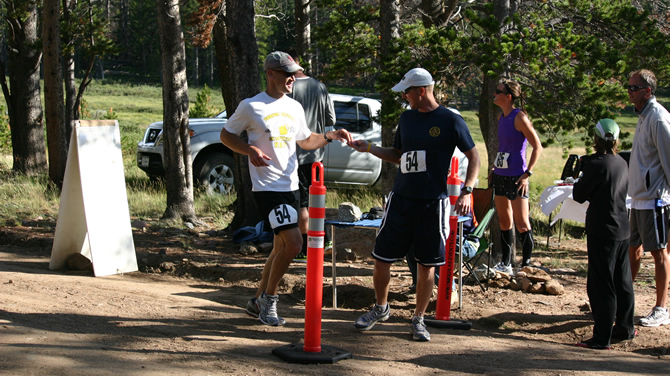 Since our first race in 2005, over $365,000 has been raised and distributed to non-profit organizations in Colorado, Oregon, Iowa, and Vermont. The Relay helps us raise funds, we are a small club and short, intensive fund raising efforts help prevent volunteer burnout. "Habitat for Humanity builds decent affordable housing in partnership with families in need. Most of the labor, sometimes land, and some of the materials are donated, but fundraising is a constant challenge, especially in small rural communities. We rely on cash donations, and special events such as yard sales and raffles, to raise the additional cash necessary the build a house. Enter Paul Vanderheiden, and the Green Mountain Relay Race. The race needed lots of warm bodies to staff the exchanges, and Central Vermont Habitat for Humanity has a large roster of volunteers anxious to do anything to help the cause. It's not construction, but nevertheless, we were able to muster coverage for the 10 exchanges between Stowe and Rochester, breaking the duties into 2 2-4 hour shifts at each exchange. Since we had so many people, no one had to commit too much time or lose all of a Saturday- family day. The responsibilities were clearly written up and all supplies were available as promised. "It poured down rain all day for the 2006 Green Mountain Relay. 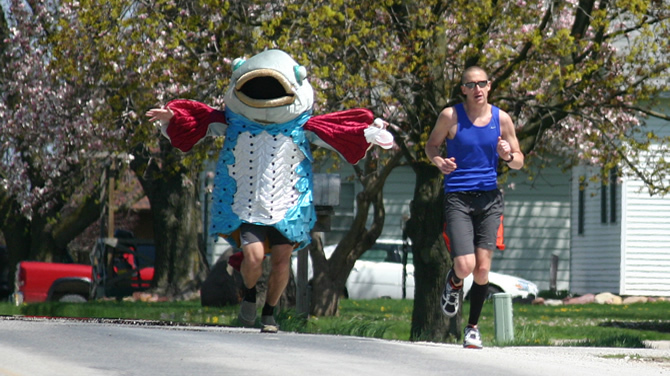 But the runners were totally positive and kept the volunteers inspired. And the teams were so friendly and appreciative of the help we provided. It was really fun, despite the rain. "As chairperson of the Habitat Chapter in Mad River Valley, VT, I am often involved with organizational things for the fundraisers. I can say that this event was well organized and everything went according to plan. Our group earned more than $1000 for the day's work, and it was easy and fun. So thank you! To all runners and teams that fund the Volunteers with a Purpose, for the opportunity to work (and play) with you. We'd love to do it again!" Copyright © 2018 Volunteers With A Purpose, Inc.